During the American Revolutionary War, the people living in the Thirteen American Colonies had to decide whether they wanted to break away from the British rule and gain independence, or remain British citizens. These two groups were the Patriots and the Loyalists. 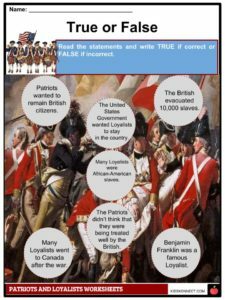 During the American Revolutionary War, the people living in the Thirteen American Colonies had to decide whether they wanted to break away from British rule and gain independence or remain British citizens. These two groups were the Patriots and the Loyalists. 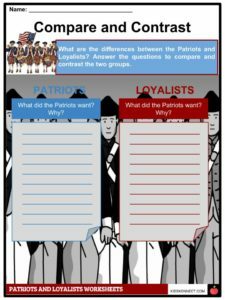 See the fact file below for more information on the Patriots and the Loyalists or alternatively, you can download our 22-page Patriots and the Loyalists worksheet pack to utilise within the classroom or home environment. 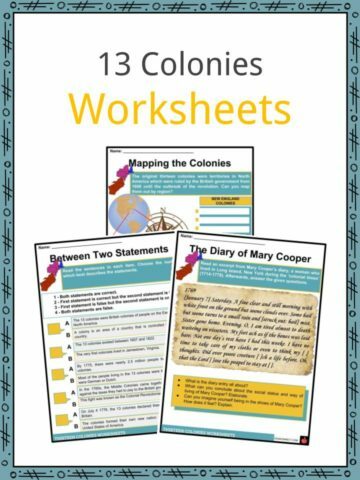 Patriots wanted the Thirteen colonies to gain independence from Britain. They wanted to create their own laws and to form the United States of America. The Patriots wanted freedom from British rule because they didn’t think they were treated well. 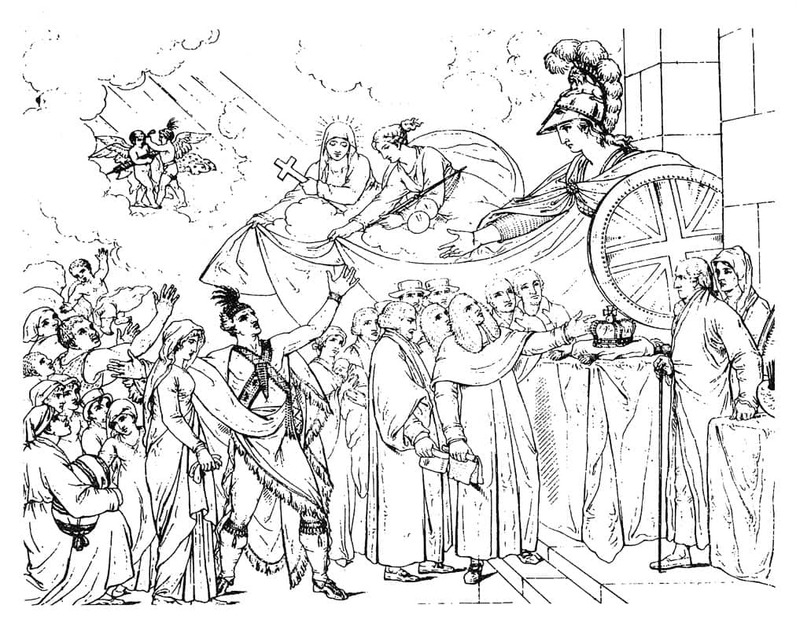 The British kept introducing new taxes and laws, and the colonists had no representatives on the government – which lead to unrest and calls for “liberty”. Patriots did not want to be ruled by the British any longer. There were a number of famous Patriots. Thomas Jefferson, who wrote the Declaration of Independence, and John Adams both eventually became presidents. George Washington was a patriot who led the Continental Army and after the American Revolution, he became the first President of the United States. A number of patriots became known as the Founding Fathers of the United States. They include Samuel Adams, Paul Revere, Benjamin Franklin, Patrick Henry, and Ethan Allen. Some people wanted to stay part of Britain and remain British citizens. A lot of the colonists had British relatives or ancestors, and some were very grateful for the opportunity to farm peacefully in the British-ruled land. A significant amount of loyalists were African-American slaves. The British promised to free the slaves from their Patriot masters and around 50,000 slaves (roughly 10% of the total slave population in the 1770s) fled from their masters to side with the loyalists. Other colonists had business interests in England. 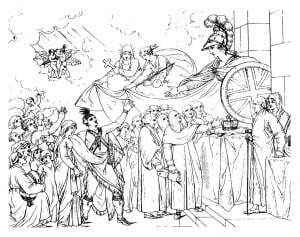 They knew that British trade was important to the economy and their livelihood, and thought that British rule would be better for them than the Patriots. One of the most famous loyalists was Benedict Arnold. He was a general in the Continental Army and defected to fight for the British instead. There weren’t as many famous loyalists as there were patriots because they lost the war, but other famous loyalists included the governor of the Massachusetts colony, Thomas Hutchinson, Joseph Galloway, the Pennsylvania delegate to the Continental Congress who later worked for the British army, John Butler, the leader of the loyalists troops Butler’s Rangers, and the mayor of New York City, David Mathews. Loyalists living in Patriot areas were under constant threat. They were in danger of attack from radical patriots and many loyalists lost their homes and businesses due to patriot attacks. Some loyalists left the colonies and headed back to Britain. The more devoted loyalists either joined the British army or formed their own group of fights, including the Loyal Greens and the Royal American Regiment. The wealthiest loyalists moved to England after the war. Men like Thomas Hutchinson had the resources to travel to London. The poorer loyalists lost their fortunes and their land. Some loyalists were paid by the British government for their loyalty, but it wasn’t enough to compensate what they had lost. The United States government wanted loyalists to stay in the country. 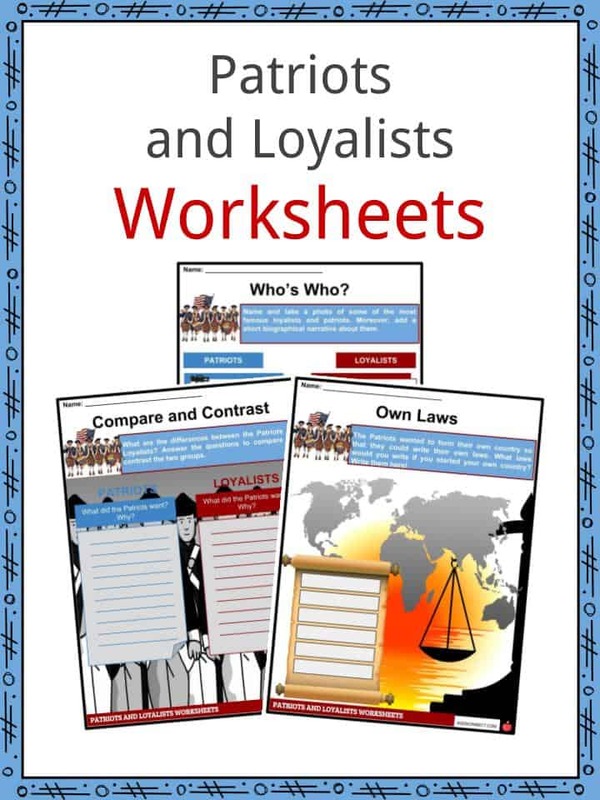 The skills, education and knowledge of the loyalists were seen as important assets to the new country. Despite that, very few loyalists chose to remain in the United States. The British evacuated 20,000 slaves. They resettled these formerly enslaved African Americans as free people. Many ordinary Loyalists went to Canada. They would go on to play a large part in the development of the Canadian government and society. 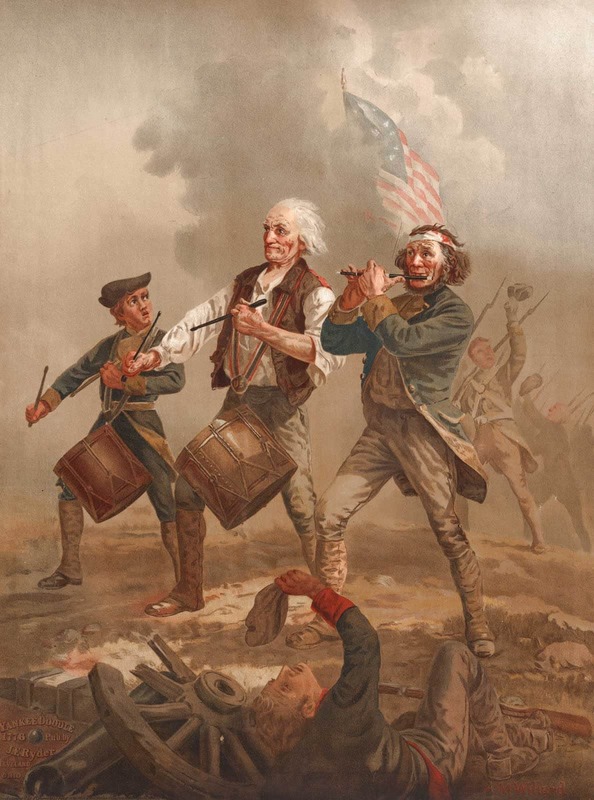 The American Revolution shaped the future of the United States and Canada as well. 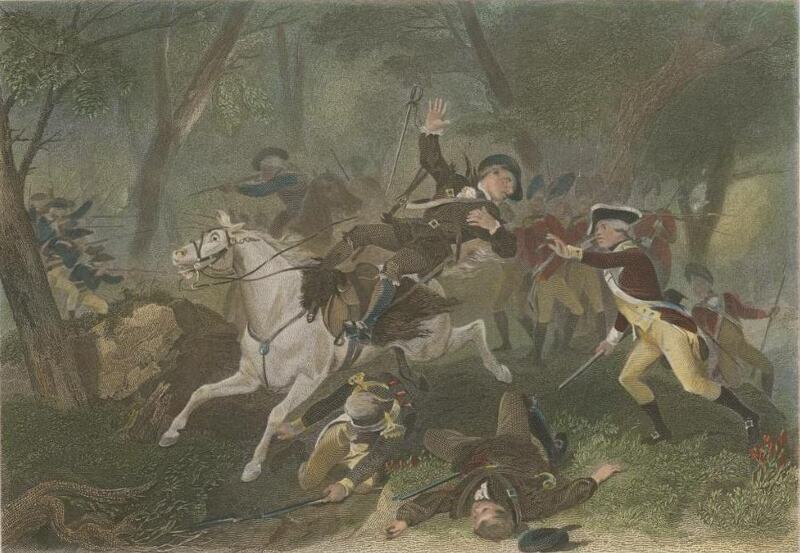 Engraving of the American Revolutionary War, depicting the death of British Major Patrick Ferguson, being shot from his horse on October 7, 1780, as he commanded Loyalist regulars and militia at the Battle of Kings Mountain, a Patriot military victory. This is a fantastic bundle which includes everything you need to know about Patriots and Loyalists across 22 in-depth pages. 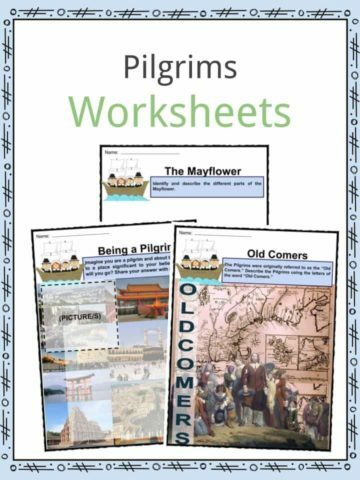 These are ready-to-use Patriots and Loyalists worksheets that are perfect for teaching students about the time during the American Revolutionary War when the people living in the Thirteen American Colonies had to decide whether they wanted to break away from the British rule and gain independence or remain British citizens. These two groups were the Patriots and the Loyalists. 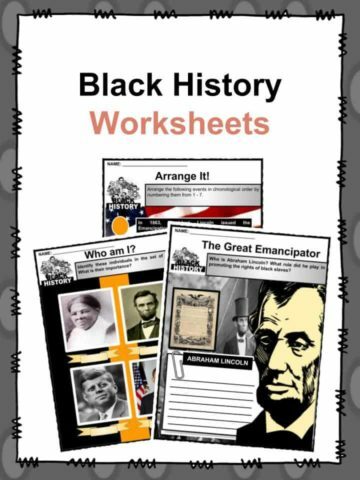 This worksheet can be used in the classroom to encourage learning. 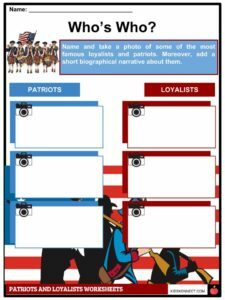 After completing this worksheet, students will be comfortable identifying different patriots and loyalists. Compare and contrast is a key skill students learn within the school environment. This task challenges each student to compare and contrast what each side wanted as a result of the war. Students are challenged to identify 9 words within the word search. Great filler activity. Four statements of differing opinions. Can you successfully identify the patriot and the loyalist? Filler activity where students have to work through a maze back to England. 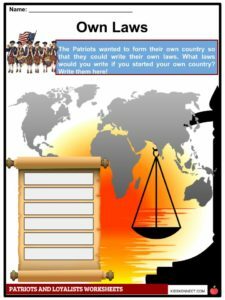 This writing activity will challenge your students to write their own laws. 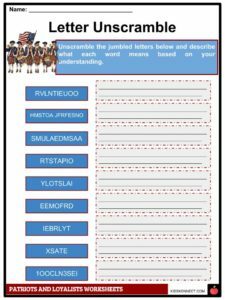 Can your students unscramble the words to reveal phrases associated with the American revolution? A set of true or false questions and answer sheet. Students are challenged to identify 7 words within the crossword. Great filler activity. 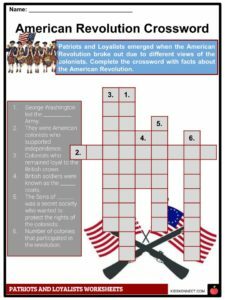 Students will be challenged to color the picture of Benedict Arnold’s escape and fill in the blanks. Have a clear understanding of the American Revolution. Define and identify both Patriots and Loyalists. Answer a series of challenging questions to hone their knowledge. Have a grasp of key figures within society at the time of the revolution.